Six tenants: Sony Ericsson Mobile, Hyppo Leasing, Erste Bank, IKON... generating about $3.5 mill. 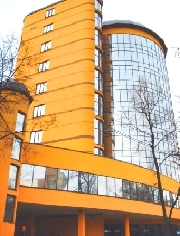 The premises are located in the town Rovensko pod Troskami in the Czech Republic. This town is situated in the region called Czech Paradise. The respective buildings are placed just only 150 meters from railway station of the town (with railway trail) and it is at the distance of 12 km from Turnov (where is the connection for motorway) and 15 km from JiÄ�?Ã­n. The whole primises are formed by three buildings which are located on private real estate of 5 000 m2. The whole building site is in sole private ownership. There is at disposal electricity power, natural gas, telephone lines, cabel TV, main water supply and public severage. There are also two independent water wells on site. In the building there are rooms for manufacturing, for strocking, office rooms and social facilities. There is enought free labour force in the town and in its vicinity. Useable manufacturing and stock areas are of 2 300 m2. Commercial building in the heart of the capital, Roseau. Within walking distance from the Main Cruise Ship Terminal. Great cash flow property with many US companies as tenants. Occupancy rate has never fallen below 75%. Property is definitely among the top business buildings in city. Perfect location within the city but most importantly perfect location for US companies as it is in Mexico's fourth largest city (Juarez) and just across the border from El Paso, Texas (5 minute drive). "Office For Sale", "Se Vende Oficina / Local"
Strategically located these two charming commercial/office spaces in Pueblo Amigo Plaza can be used as office/store front or rented for profit. This property is within walking distance from the international border with the USA and facing the SENTRI preferential border crossing. This 4-plex of 2 bedroom condos is one of Tulums finest. It is located just a few meters off Kukulcan Blv. which will be the main avenue to the beach, in the new city of Tulum. It is only a few minutes from the world's finest beaches. The property has room for expansion and addition of a pool. Rental income withthe addition of the pool would run $1500 per month per unit on long term rental. Commercial Building Located In The Heart Of Campinas. Exceptional building located in the heart of Campinas. The city is in current development, and the building is in a very strategic commercial zone. This building is perfect for business offices, factories, and labs. All floors are very spacious. Easy access by car, bus, and train. Address: Visconde do Rio Branco, nÂº166. This building was completed in July 2005 in a historic sector of Valparaiso, the most beautiful port city in Chile. It is located on the lip of a central hill overlooking the centre of town, the Plaza Victoria, the Pacific to the northwest and the Andes to the east. The city is undergoing a substantial gentrification process, and is culturally stimulating and busy. Excellent 6 Story Comercial Buillding, 4 Huge appartments and 1 small one, 9 Comercial spaces, 10 telephone lines installed, size 1600m2 & 420m2. Built in 1981, with a rebar and cement excelent consturuction, with engineering structure, Generating $5600. We are offering a unique opportunity to have two neighboring shops in old town of Tallinn. Both are occupied at the moment, rental income appr 4000â‚¬ per month. 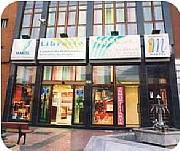 The shops are just next to the main City hall Square and in the middle of the busiest street of tourist shopping and restaurants. This is an area where real estate prices are still raising, no matter what. This very nice and adaptable plant location is located on the Great Hungarian Plain, one of the richest agricultural areas in the world. It is located in a small community with a very good work force. The plant is located on approximately 4 hectares, enough for future growth. This facility has good storage both upright and flat. Profitable, commercial building with tenants situated by the international road in Jelenia Gora. Property is situated directly by the international road from Jelenia Gora to the Czech border ( 30 km) and to the German border ( 80 km). Banks,Insurance companies and Consulate of Sweden. They are also restaurants and pubs. Belchatow ; 45 km away from Lodz (one of the biggest cities In Poland)in the centre of Poland, by the main Warsaw â€“ Wroclaw direction road. Property is situated in MostovÃ¡, 50km from Bratislava, 120 km from Wien, 160 km from Budapest. The building can be used for production , as an office building, one part is liveable. The building has 4 parts,which are connected to each other,but every parts has own entry as well. Three of the parts have one floor with cellar and one of them is storeyed. The property, formally a substancial flour mill, is presently used as a hot glass studio and shop but has potential for other uses. The shop is very well known and has extensive goodwill with a high annual turnover. It is a landmark building having full commercial and industrial permits. The ground plan covers an area of approx. 400 square meters with potential for further development. Recently built and distributed in three (3) commercial floors and two (2) stores, the building has elevator, stairs and a closed-circuit TV. The property is strategically located in the best and fastest growing commercial zone in the Canary islands. 2,715 m2 furniture factory with loading dock, saw mill, 2 kiln drying chambers, finish room, 3 office rooms, tool room, large upstairs storage over office, large parking area, mashola, guard post, all within 3 meter high stone wall. Factory can be viewed on old dot com website: "Java Top Line Furniture" open & click "facilities". 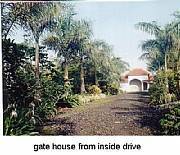 Industrial Property For Sale In The Hills Of Central Bali. Factory and freehold land for sale in Tampaksiring. Former handicraft factory, built in 1997, made with concrete block and concrete floors with corrugated roof can be used as a factory, warehouse, or converted into other business or residential. The World Tourism Organisation (WTO) has named Lahemaa National Park, along with the islands of Saaremaa and Hiiumaa, to be the regions of Estonia with the best prospects for developing nature tourism (ecotourism). The commercial building is located in Albrook, an area of great economic activity with tremendous potential, 10 minutes away from the Panama canal. The local is brand new and has a total of 10,330 square feet of construction of pure H-beam steel, and sits on 9,533 square feet of land. New to the market, a jewel of a property which has what everyone wants: one luxury home of two bedrooms, two bathrooms, and a great room over the water with a boat parking space and a legitimate concession from the government on 205 sq mts (one of the few in Bocas that does), PLUS another house on 200 sq mts that is right at the top of main street. 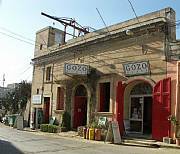 Huge Building of 1655 sqm, actualy used as Club, Lounge, Bar and Restaurant (fully Equiped), but also perfect as a private residence. In the heart of Santa Feâ€™s premier art gallery & dining district, directly across from Geronimo and near to other outstanding galleries , eateries and historic venues, this freestanding 2065 +/- sq/ft commercial/gallery condominium offers a highly visible and commanding location. Excellent Location For Your Business And Home In One Place. On the south side of La Sabana Park which is a large city park with lakes, trails, museums, sports, stadium, Olympic pool and many more attractions. This building is located just on the outskirts of the center of the city and has nice upscale neighborhoods. Just 15 minute drive to the Juan santamaria International airport. Exceptional building located in "los Ruices", which in a very well known industrial and commercial zone in Caracas, Venezuela. This building is perfect for big corporations and even for factories. It has a big load zone and a extended space for use as a warehouse in the ground floor.